The values for this acid-alkaline soups, sauces, and gravies food chart are explained in my Basic Acid Alkaline Food Chart Introduction. If you have any questions about this information, or have any suggestions for improvements, please add your comments below. 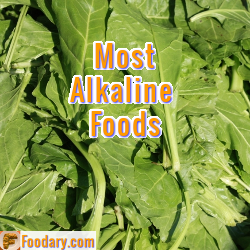 These acid-alkaline foods charts are an introduction to this food diary project. I will provide you with your free online food diary. These charts are basic, but the finished project will be rich with many features that allow you to manage your diet. I have many ideas for turning this basic information into an interactive service to help you plan your diet, but I also want your ideas. Your feedback will help me move this project quickly to provide you with better nutrition management tools.